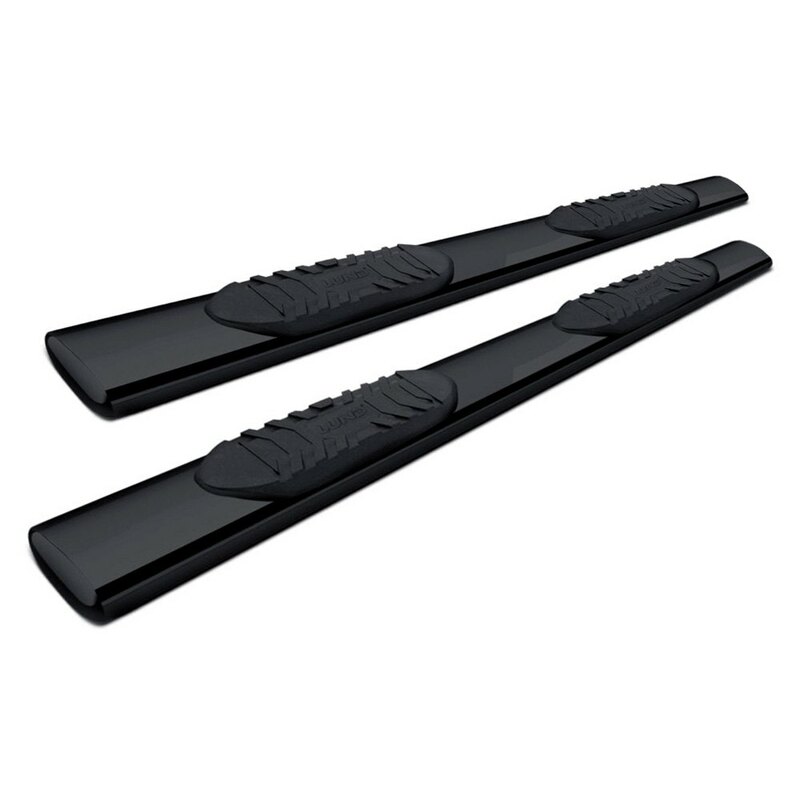 Buy > Lund® 24055006 - 5" Cab Length Black Oval Straight Tube Steps > For 1500 RAM TRUCK - Cheap Price! 5″ Cab Length Black Powder Coat Oval Straight Tube Steps (24055006) by Lund®, 1 Pair. Get a step up into your cab and be a step ahead of other trucks and SUVs in the looks department with Lund 5” Straight Oval Tube Steps. The no-slip step pads will give you safe, sure footing while the polished plated or black powdercoated finish 5” tubes with straight ends deliver a rugged yet contemporary look. Precision designed for a perfect fit, each tube set comes with custom made brackets and hardware for an easy, no-drill installation.